As the world’s most powerful collection agency, the IRS has several methods and resources to collect money from delinquent taxpayers. Some enforced collection actions include summonses for information or evidence of an individual’s financial situation, property seizures, liens, levies and garnishments. Additionally, penalties and interest continue to accrue on all debts owed. For most people, a substantial and outstanding tax liability can quickly increase to an unmanageable amount that may be difficult to resolve. Although this program may sound too good to be true, it’s legitimate. However, not all people will qualify for an Offer in Compromise, and all offers made must be reasonable and reflect an accurate assessment of what the IRS can expect to collect within 24 months. If you choose to make a lump sum offer, you must submit an initial payment of 20 percent of the total offer amount. The remaining 80 percent of your balance must be paid in five or fewer payments within 24 months of the date your offer is accepted. If you cannot make a lump sum offer, the IRS may consider a periodic payment offer. You must submit an initial payment and continue to make monthly installments while your application is considered. As with the lump sum offer, your total liability must be paid within 24 months. Submitting an offer application does not guarantee that the IRS will accept your offer. If your offer is returned or not accepted, your payment(s) will be applied to your tax debt. The $150 application fee is not applied to your outstanding tax debt. You must maintain compliance with all tax laws even after your OIC is accepted. If you fail to remain in current compliance with the IRS within five years after your offer is accepted, your offer may be returned or rejected and you may acquire additional interest and penalties. In other words, if you don’t file or pay your taxes on time, the IRS may revoke your OIC agreement. Before submitting an Offer in Compromise, it is important that you explore and fully understand all of the payment options available for resolving your tax debt. 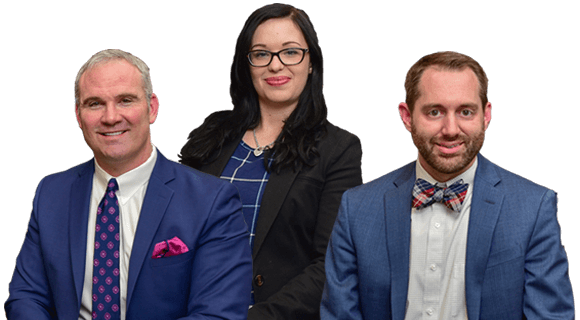 Just as importantly, it is crucial that you speak with an experienced tax attorney who can assist you in determining your best option, answer all of your questions, clarify any doubts and uncomplicated intricate tax laws. Prolonging settling your tax will only result in added interest and penalties, thereby increasing your debt. call 865-566-0125 or send us an email to make an appointment at one of three offices in Knoxville, Tennessee; Nashville, Tennessee; and Atlanta, Georgia. All initial telephone consultations are free and we accept credit cards for transactional work.